We run conferences, which we record and release (some for free). We write extensive guides such as Excel for SEOs and our guide to creating viral content and infographics. We regularly blog, both here and on SEOmoz. We provide consulting and training to some of the world's largest brands. Finally we have DistilledU (currently in private Beta) which is a platform where we will provide SEO training. 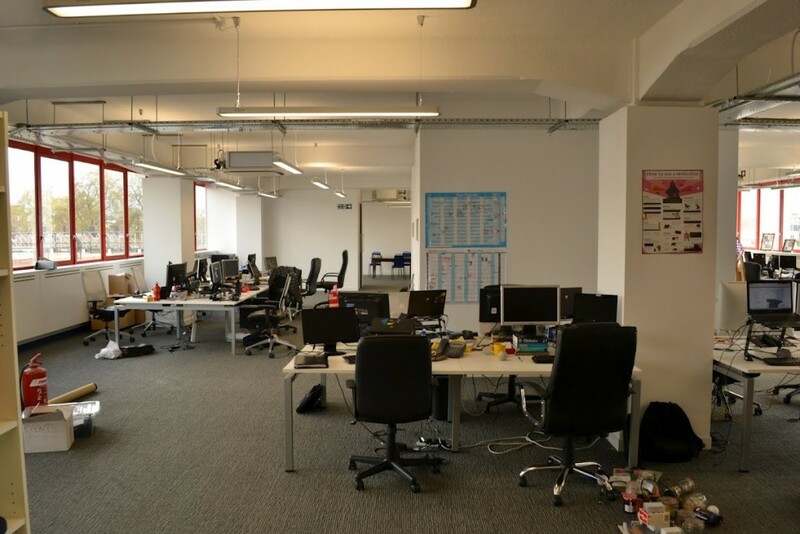 Recently we moved into a flash new office in London, but, as you can see it's a little empty! So today we are launching 3 internships to help fill the seats and, more importantly, spread the word about everything we have to offer. The roles will initially be for 3 months, but we hope that each role will prove to be a valuable addition, in which case we would look to push the role into something full time. This role is responsible for the day to day management of our social communities, engaging with our followers, building our follower base and ensuring we have a consistent and on-going presence in the relevant social media channels. This role will also be responsible for crowd sourcing and researching relevant topics for us to write about. Paying particular attention to the Distilled personas, the role will be responsible for identifying the concerns of our target markets and developing ideas for content around these pain points. The Campaign Assistant will be responsible for the development of short term marketing campaigns to support our wider business and marketing goals. This role will develop and roll out regular campaigns to promote new content (such as our guides), or campaigns focused on promoting our consulting and training services across the different regions. The Videographer will develop regular video based content for Distilled. This content could range from animated infographics, video mini-series, or editing our current content into new forms. The Videographer would also identify ways to promote Distilled through the innovative use of video content. The roles will be paid roles and will start immediately. You will be based in our London office and will work closely with Ed, our Marketing manager and the rest of Distilled. We have strict hiring guidelines which won’t be relaxed just because the roles are temporary. The right person for each role will be incredibly smart, creative and will have an ability to get stuff done. You will be ambitious and will relish the challenge of proving that your role should be made full time. To do that you'll have to be data-driven, self-motivated and always pushing yourself to learn. You'll probably also be a little bit insane. I look forward to reading your application and welcoming you on-board.